The well-whittled industry joke is that TGFOP stands for “Too Good For Ordinary People”, but you'll be on the A-List choosing this incredible tea. Picked as a first flush from the prized Thurbo region in the foothill of the Himalayas, we’ve opted for exceptional quality from a tea garden in the Mirik Valley. 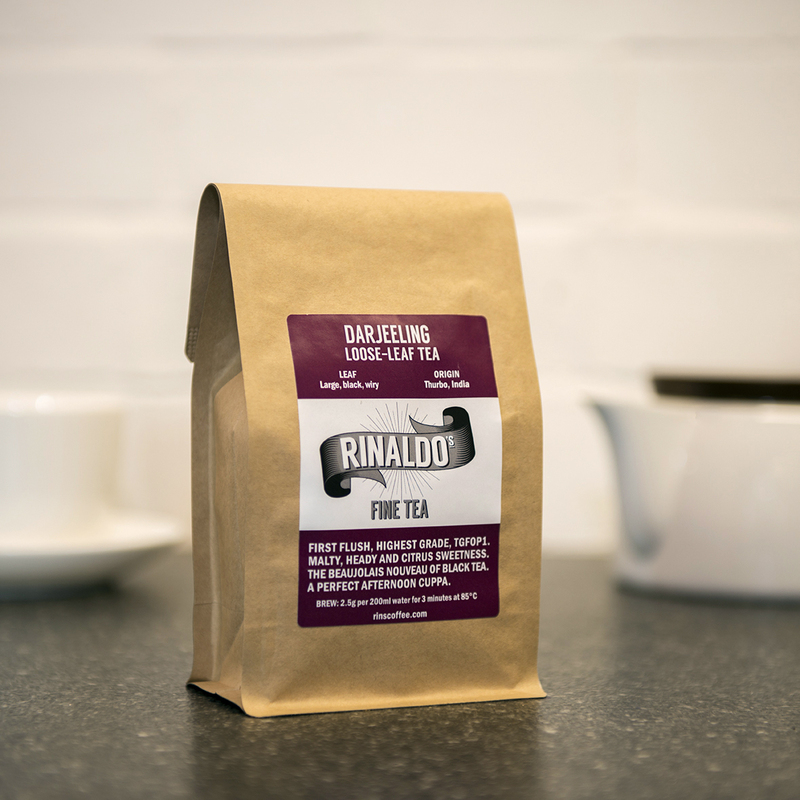 Fresh, flowery, light and intensely aromatic this Darjeeling is rightly regarded as the Beaujolais Nouveau of the black tea world. Quite simply, it’s so gorgeous you could get drunk on this stuff. THE perfect afternoon tea. Liquor: Pale amber/green colour. Very clean. Cupping Notes: Muscatel, winey overtones. Hints of peach.